Pune Warriors India remained a part of IPL from 2011-13. The Indian Premier League has always remained as the grandest league in the history of cricket all around the world. The main reason behind it is the league’s immense fan following and the city-based franchises taking part in it. Its first edition which took place in the year 2008 attracted the most fan base because of its unique format. Initially, 8 teams took part in the inaugural event but the number increased to 10 in the year 2011. 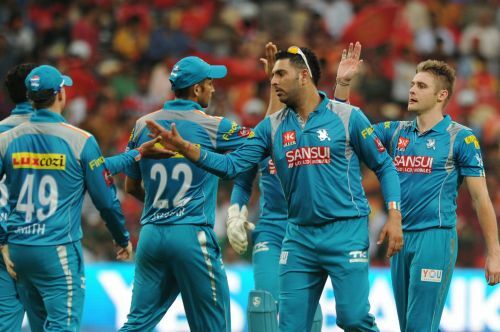 2 new franchises named as Pune Warriors India and Kochi Tuskers Kerala were added to make the format more attractive. Pune Warriors India was the franchise named after the city, Pune of the Maharashtra state. The franchise drew a lot of attention because of the inclusion of some star players like Yuvraj Singh, Mitchell Marsh, Angelo Mathews, Graeme Smith and many more. PWI elected Yuvraj Singh as the captain of the star-studded lineup of their side. The team had a dismal record in the IPL as they could win only 12 matches in 3 seasons. In this article, we will have a look at the Pune Warriors India squad of IPL 2012 and where are they now? Yuvraj Singh was the main man for Pune Warriors India in IPL 2011. Yuvraj Singh always tops the list when the talk comes to IPL or T20 format. This is the format which suits him the most because of his aggressive playing style. He can tee off right from the first ball irrespective of the bowler bowling from the other end. That’s the only reason he could smash 6 sixes in an over in 2007. Referring to the IPL, Yuvraj has had many ups and downs in his IPL career pertaining to his form and medical issues. 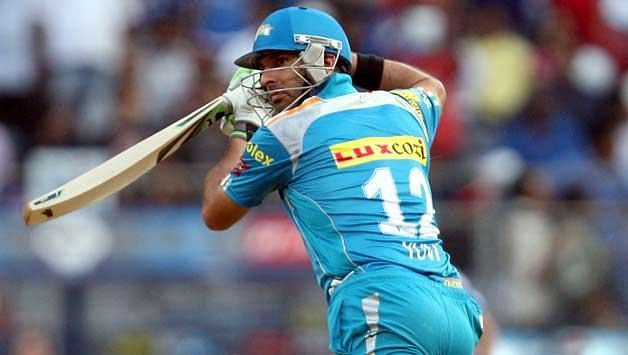 Yuvraj has so far played for 5 IPL franchises out of which Pune Warriors India was his 2nd one. He played for this franchise in the year 2011 and 2013. He remained the part of 2012 squad but didn’t play as he was battling cancer. Yuvraj Singh has been out of the international matches pertaining to his poor form. He was playing for Punjab in Syed Mushtaq Ali trophy and is all set to play the 12th edition of IPL for Mumbai Indians in 2019.